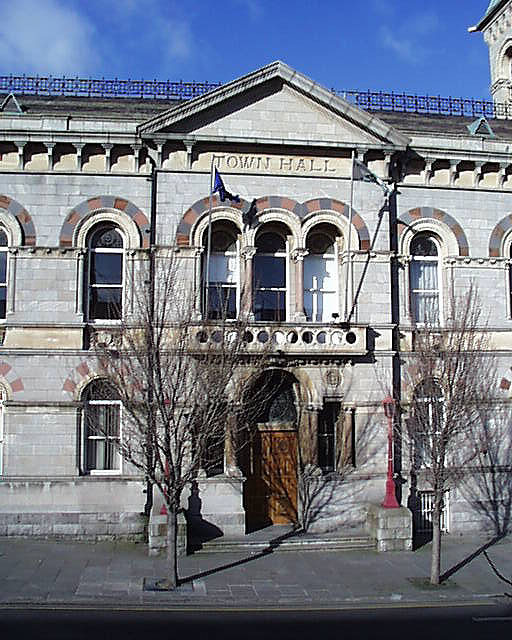 Now part of the larger Dún Laoghaire-Rathdown County Offices, the former Town Hall and Market House was a multipurpose building containing a Courthouse, trade and administration facilities for the Borough. 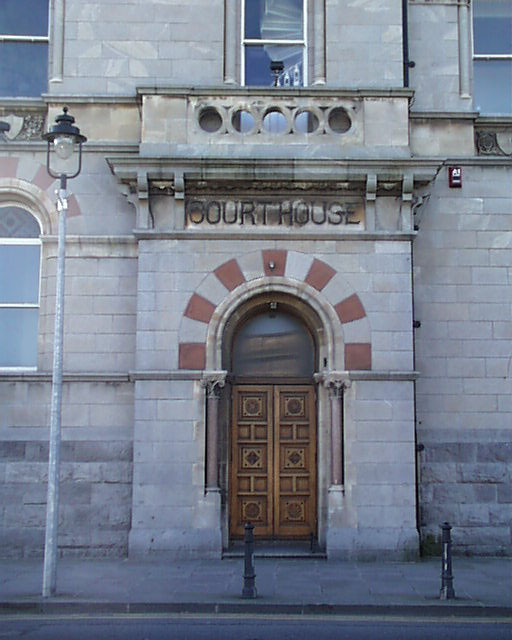 It was designed as the result of a competition in a Lombardo-Romanesque reminiscent of some of the work of Deane & Woodward. The campanile is one of the defining features of the town when approached from the sea. 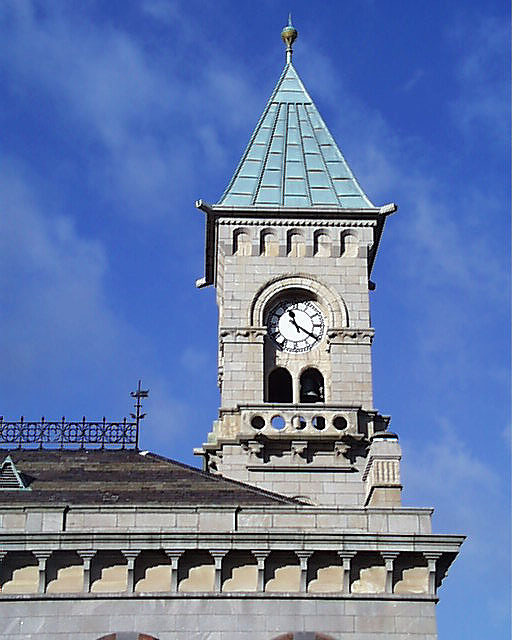 Even today, the outline of Dun Laoghaire is very much one of spires and towers, all built by the Victorians and reflecting the wealth and confidence of the Borough during the 19th century. 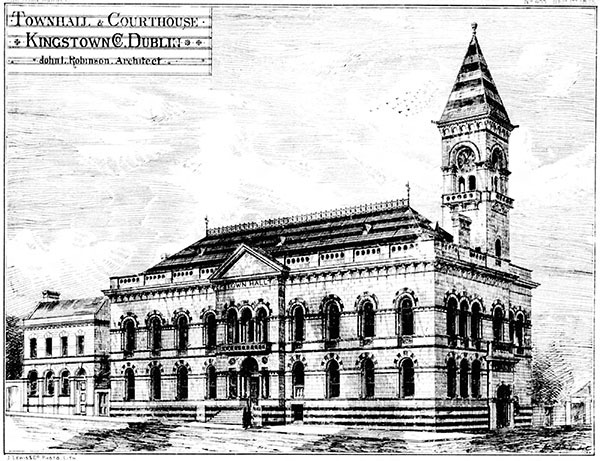 Described in The Building News, July 23 1880: “THE new Town-hall, at Kingstown, opened on Tuesday, contains municipal offices, a fine public hall, and a commodious courthouse, where the county chairman still sit periodically, together with accommodation for the holding of the police-court. 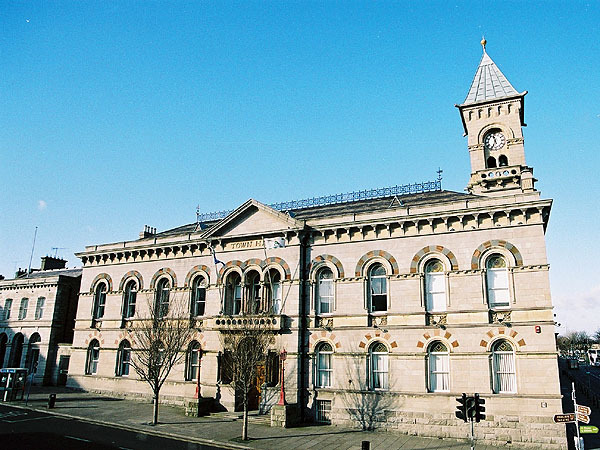 So long ago as 1866 the Town Commissioners, feeling the want of such accommodation as that which the new building provides, advertised for plans and specifications, but the difficulties which were thrown in the way of procuring a suitable site caused the scheme to lapse for a time. 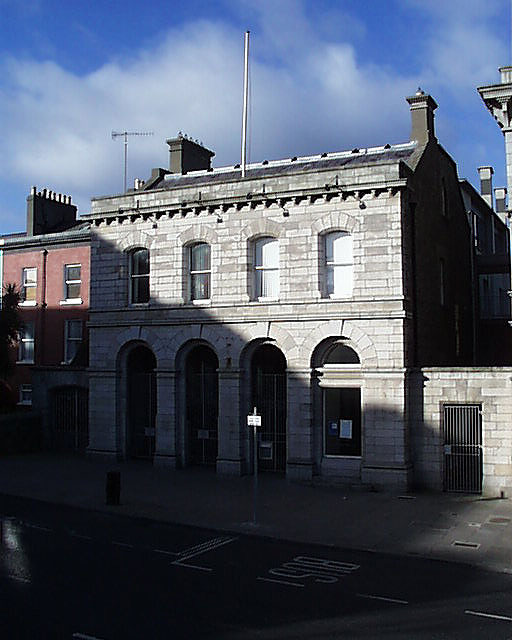 In 1874 it was revived, and in August of that year, the difficulties with regard to the site having been obviated, the plans sent in by Mr. J. Robinson, 198, Great Brunswick-street, Dublin, were selected, and tenders advertised for. 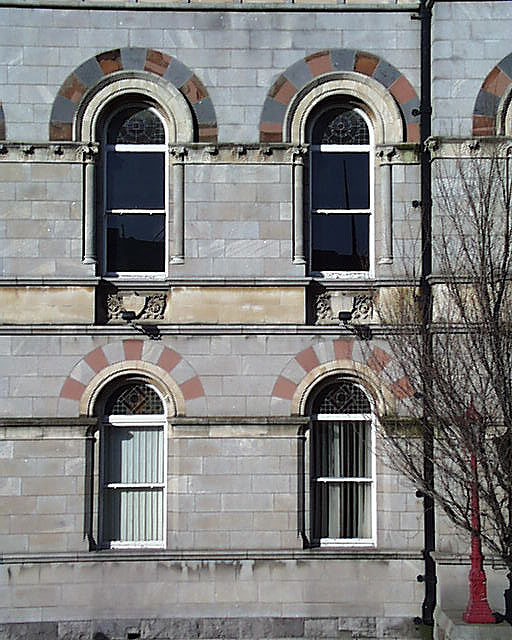 The amount of the contracts and extras was nearly £14,000, but it is estimated that the entire building when furnished will cost at least £16,000. The architecture is after the Italian style.